'A really clear, funny, useful guide to mental health.' Keith Stuart, author of A Boy Made of Blocks'Warm, welcoming and wise.' Red magazine'This is a funny, brutal, kind, sobering, remarkably brave and clear-eyed book. Compelling and necessary.' Warren Ellis, author of Normal, Gun Machine and Transmetropolitan'Emily Reynolds is a brilliant writer on an important subject. And hilarious too.' Adam Rutherford'This book isn't just brilliantly written and welcoming in its tone; it's honest, practical and important. It is going to help so many people - including friends and family who desperately want to help a loved one but don't know how.' Emma Gannon, author of Ctrl Alt DeleteEmily Reynolds is mad. After years of trying - and failing - to cope with her symptoms, she was finally diagnosed as bipolar in her early twenties. Since then Emily has been on a mission to find the best way to live with her illness, and now she wants to share that knowledge with you. Living with mental illness is isolating, infuriating and painful - but also very boring and, sometimes, kind of gross. 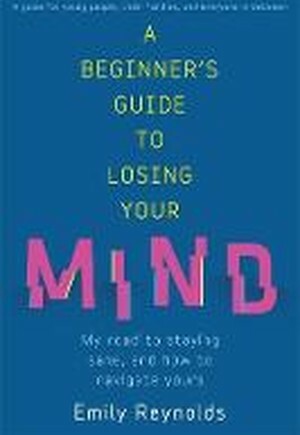 A Beginner's Guide to Losing Your Mind is a companion to make the journey feel a little less lonely. A Beginner's Guide to Losing Your Mind gives you tips on:How to deal with exam pressure at school and universityHow to date when you are mentally ill (and what to expect when you're on the other side) Navigating the internet and the online mental health communityHandling self-harm and suicidal thoughtsDiagnosis, treatment and maintaining your mental healthA blackly funny, deeply compassionate and extremely practical book, A Beginner's Guide to Losing Your Mind is a candid exploration of mental illness that is both a personal account of what it's like to live with mental illness and a guide to dealing with and understanding it.